Join us for Madison’s 7th Annual Spring Tech Kickoff on Thursday, April 4 from 5-7pm! Please register here if you’re planning to attend. It’s free. This year’s gathering is in the brand new Spark building on East Washington Ave and is co-hosted by StartingBlock Madison. A variety of beverages and delicious snacks will be on hand. Presented by: Capital Entrepreneurs, Forward Festival, and Horizon Coworking. The Madison Startup Fair returns Tuesday, February 12th on the UW campus! It’s part career fair, part startup showcase with a goal of connecting students to Madison area startups. 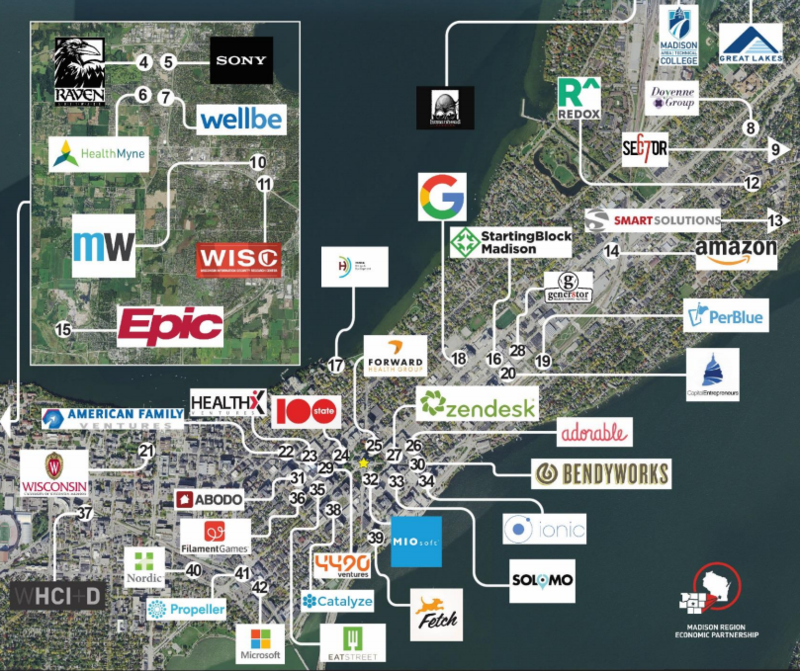 Madison is home to one of the fastest growing tech industries in the country and a burgeoning startup scene. Find out about internship and full-time opportunities with Madison startups, find out how you can get involved by starting your own company, find a mentor, or just learn more about what it’s like being a startup founder. Any Madison area college student interested in technology and entrepreneurship can talk one-on-one in an informal environment with startup founders and employees about their experiences. The event is open to all majors. 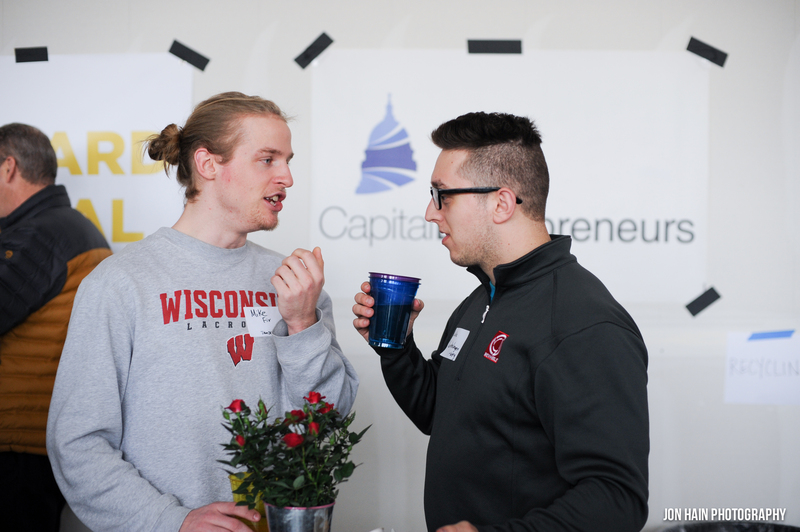 Capital Entrepreneurs has partnered with TheHub and WARF to bring you a condensed, energetic, and informal way to get connected with Madison area startups. At the start of the event, you’ll hear pitches from each startup about what they do and what they’re looking for, with the remainder of the event structured similar to a traditional career fair where students can talk 1:1 with individual startups and entrepreneurial resource organizations. This event is FREE for students to attend. And a reminder that NO SOLICITING of startups is allowed at the event. The Tech Gala is back! Join us for an evening of fund an games benefiting the United Way of Dane County on Wednesday, December 5th. Last year’s Inaugural Tech Gala raised nearly $10,000 for non-profits and sold out with 250 attendees. Get your tickets today! Circle December 5, 2018 on your calendar! 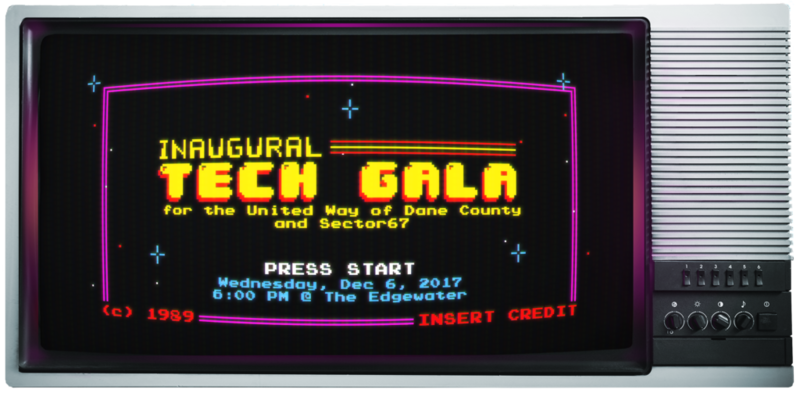 That’s the night you’ll be at The Edgewater, sipping cocktails, playing your favorite old school video games, dancing to live music and rubbing elbows with your tech and startup colleagues – all the while supporting the United Way of Dane County. Your Tech Gala ticket includes a buffet style dinner as well as an evening of fun, games, music and more! This isn’t your typical charity fundraiser event – it’s a fun gala with twist. This event is open for anyone to attend – whether you work at a tech company, are an entrepreneur or freelancer, or just want to join in on the fun and help a good cause. 100% of your ticket purchase price will go directly to the partner charities, and the entire cost of your ticket is tax deductible. The event expenses are fully covered by our generous sponsors. The goal of the Tech Gala is to engage our employees, family, and friends to come together to support a good cause, support the whole Madison community, and have a little fun in the process. Build Madison is back for its ninth event happening on Saturday, November 17th through Sunday, November 18th. This years event will be held at the new Sector67 permanent home at 56 Corry St. Build Madison is a 24-hour hackathon for makers, creatives, and tinkerers. “Build Madison is a way for people from all backgrounds to dedicate 24 hours and build their wildest dreams. We’ve seen everything from bacon soap, a penny-farthing bicycle, to new software products created by participants over the past eight years,” says Sector67 Director Chris Meyer. The event runs for 24-hours straight with participants starting at 11:00 AM on Saturday where they pitch their project ideas in 1-minute, then teams are formed, and they go to work until 11:00 AM on Sunday when everyone presents how far they got on their projects. 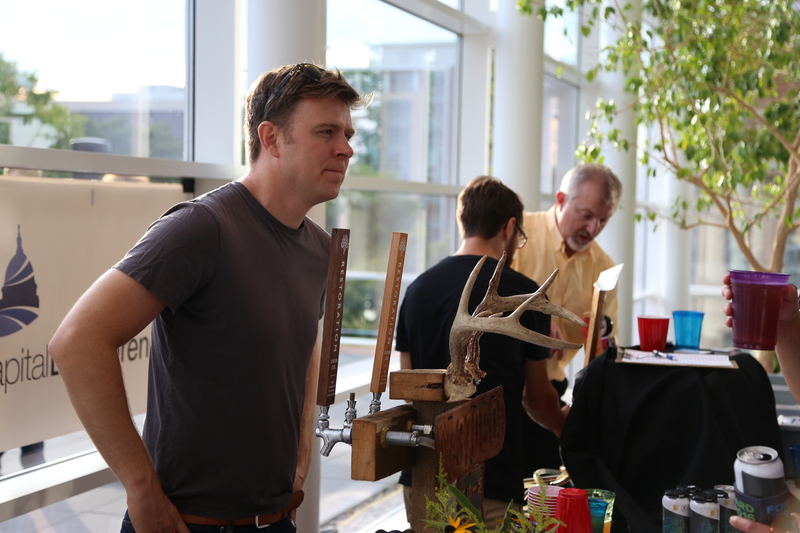 The Madison Startup Fair returns Tuesday, September 25th on the UW campus for a new fall edition! It’s part career fair, part startup showcase with a goal of connecting students to Madison area startups. Capital Entrepreneurs has partnered with TheHub, StartingBlock Madison, and the UW Department of Computer Sciences to bring you a condensed, energetic, and informal way to get connected with Madison area startups. At the start of the event, you’ll hear pitches from each startup about what they do and what they’re looking for, with the remainder of the event structured similar to a traditional career fair where students can talk 1:1 with individual startups and entrepreneurial resource organizations. The 6th annual Forward Festival Startup Showcase takes place the evening of Tuesday, August 21 at the Memorial Union. The Startup Showcase is a high energy stage that celebrates and showcases what’s next in Madison’s startup ecosystem. It features an evening of startup pitches from some of Madison’s most compelling emerging companies. A select group of 5 rising startups will give a 5-minute “demo day” style pitch showcasing their company. In addition, over 15 Startup Showcase alumni from past years will take part in a lightning round of 1-minute update pitches highlighting their recent successes. A reception on the Memorial Union Terrace will follow. GrowthChart Records – Provides hands-free documentation services to child care centers, such as preschools, daycares and in-home providers. Moonshot Insights – Performs predictive candidate evaluations for employers to determine a candidate’s job performance, growth, culture fit and longevity. NovoMoto – A for-profit social enterprise that provides clean electricity for off-grid communities in sub-Saharan Africa. UCHardChip – Creating smart personal protective equipment and services for construction sites. YoEats – A customer-facing restaurant application that provides personalized menu generation and allows patrons to split & pay bill right from their phone in real-time. REGISTER NOW to attend the Startup Showcase. Startup Showcase admission is also included with Forward Tech Conference registration and with the Forward Pass. The 6th annual Forward Festival Startup Showcase returns this year and will again be bigger and better than ever! Startup Showcase will cap off the headline Forward Tech Conference on August 21, 2018. It is expected to bring hundreds of entrepreneurs, business, civic and education leaders together in celebration of all of the innovation happening in greater Madison. Apply to pitch in the 2018 Startup Showcase by July 15 here. The Forward Festival Startup Showcase features an evening of startup pitches from some of Madison’s most compelling emerging companies. Approximately five startups will be selected to give a 5-minute “demo day” style pitch. In addition, several Startup Showcase alumni from past years will take part in a lightning round of 1-minute update pitches. The Startup Showcase is a high energy stage that celebrates and showcases what’s next in Madison’s startup ecosystem and is open to early and later stage companies, venture and non-venture backed companies, as well as for-profit and non-profit companies. Checkout highlights from prior years’ events here. The Startup Showcase is presented by Capital Entrepreneurs. Startup Showcase is part of the 2018 Forward Festival, which runs August 16-23, 2018. 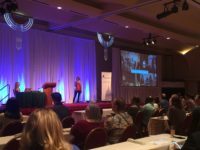 The Spring Tech Kickoff is a high-energy event that sets the tone for Madison’s tech community for the rest of the year. 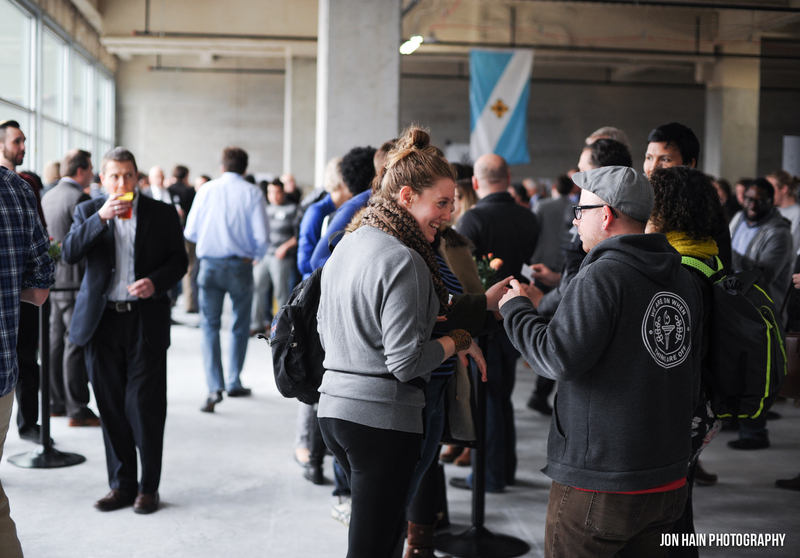 This year’s 6th annual “STK” will showcase an available Urban Land Interests space, offer exciting food and drink from Madison purveyors, and most importantly let you network with hundreds of entrepreneurs and friends. Last year we had over 400 people attend STK, making it one of the largest free-standing events for entrepreneurs in Madison. This year’s gathering is going back to our roots in the lower level of Centre7, the location of the very first Spring Tech Kickoff. Admission is free, but participants are also encouraged to make a $25 contribution to Foodworks, which trains people who face barriers to culinary training to work in professional kitchens in Madison’s burgeoning food scene. Why Foodworks? FoodWorks Madison is a community-service organization founded on a strong belief in the central role of food in our lives and its power to affect a broad social mission: economic development, job creation, public education, community-building, and skill-sharing. Our roots are in entrepreneurship (both in and out of food), small-business, and in the Slow Food movement. The 6th Annual Madison Startup Fair returns Thursday, March 8th on the UW campus! 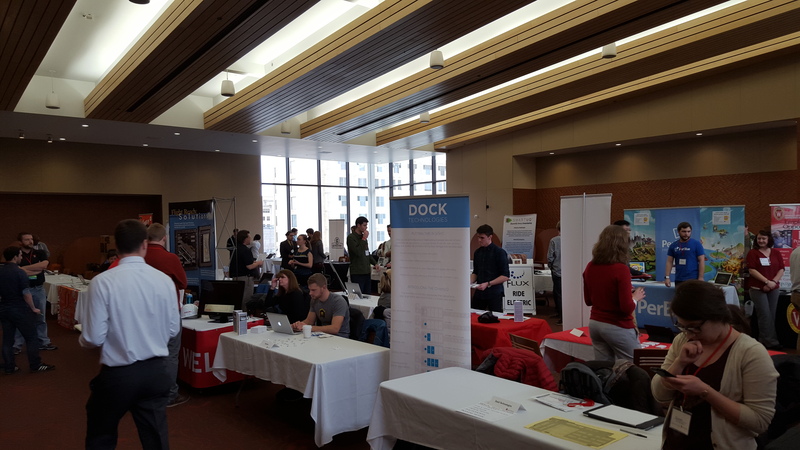 It’s part career fair, part startup showcase with a goal of connecting students to Madison area startups. Madison is home to one of the fastest growing tech industries in the country and a burgeoning startup scene. Find out about internship and full-time opportunities with Madison startups, find out how you can get involved by starting your own company, find a mentor, or just learn more about what it’s like being a startup founder. Anyone interested in technology and entrepreneurship can talk one-on-one in an informal environment with startup founders and employees about their experiences. We’re switching up the format for the 2018 Startup Fair event! Capital Entrepreneurs has partnered with gAlpha (a gener8tor program), TheHub, WARF, UW Department of Computer Sciences, and StartingBlock to bring you a condensed, energetic, and informal way to get connected with Madison area startups. At the start of the event, you’ll hear pitches from each startup about what they do and what they’re looking for. This event is FREE for students and the general public to attend. Are you a Madison startup company interested in exhibiting at the Startup Fair? Submit an application. And a reminder that NO SOLICITING of startups is allowed at the event. Circle December 6, 2017 on your calendar! 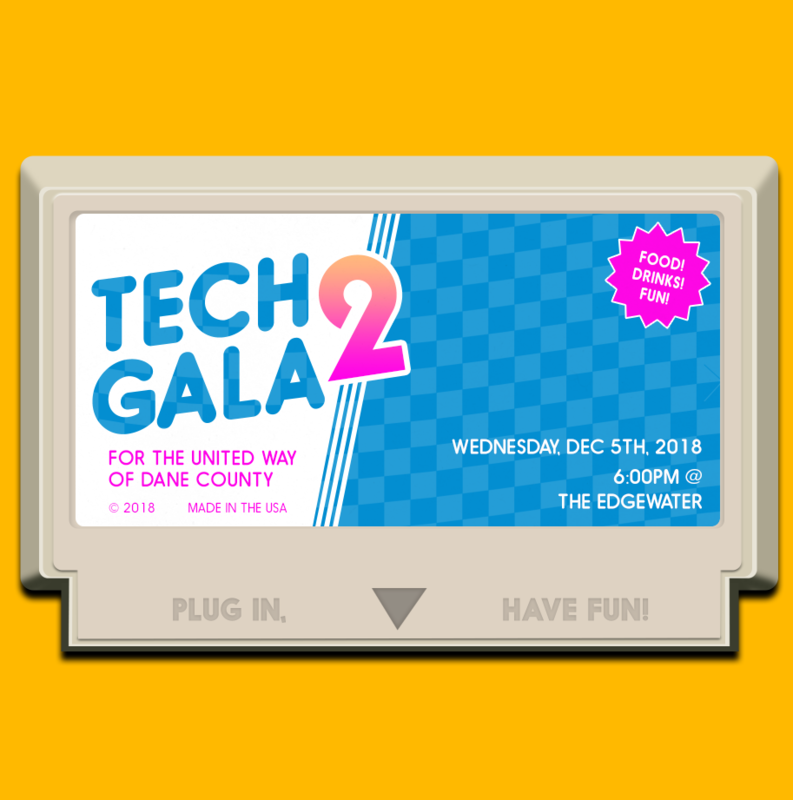 That’s the night you’ll be at The Edgewater, sipping cocktails, playing your favorite old school arcade games, dancing to live music and rubbing elbows with your tech and startup friends and colleagues – all the while supporting the United Way of Dane County and Sector67. Your ticket includes appetizers, a buffet style dinner, dessert and a cocktail, plus access to arcade-style games (PacMan! Centipede! Frogger! ), live music by a string trio from the Madison Symphony Orchestra, and the chance to have your caricature drawn by artist Bernie Tennis. This isn’t your typical charity fundraiser event – it’s a fun gala with a twist. This event is open for anyone to attend – whether you work at a tech or startup company, are an entrepreneur or freelancer, or just want to join in on the fun and help a good cause. 100% of your ticket purchase price will go directly to the partner charities, and the entire cost of your ticket is tax deductible. Tickets are $25-50, with an option to buy a full reserved table for $500. The event expenses are fully covered by our presenting sponsors. The 8th annual Forward Festival is August 17-24, 2017. Forward Fest is Wisconsin’s largest technology and entrepreneurship festival and includes 40+ events by entrepreneurs, for entrepreneurs. See the 50+ events that are part of the 2017 line up here. 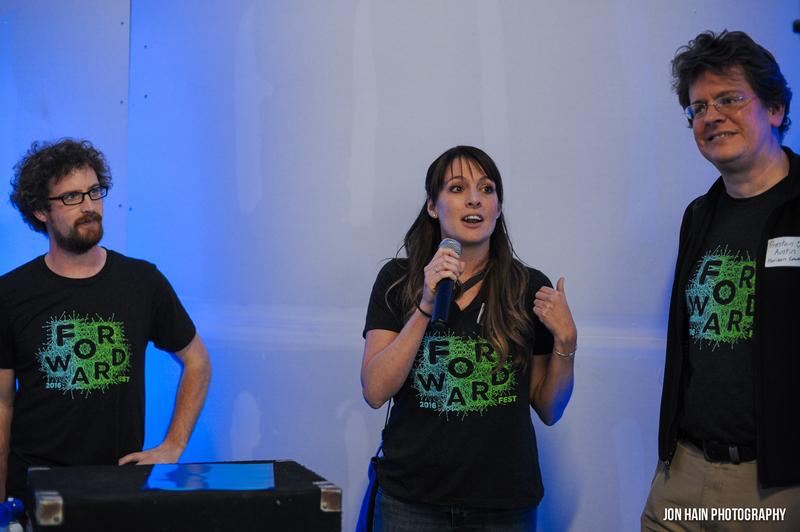 Forward Tech Conference – August 22 – The headline tech conference of the Forward Festival, the Forward Technology Conference (FTC) is geared toward startup founders, tech geeks, and those wanting to build successful technology companies. Whether you’re thinking about launching a startup business or you’re an experienced entrepreneur, you’ll find this conference relevant and insightful. You’ll get real perspective from tech startup leaders who are actually in the trenches building successful companies. You’ll hear everything from best practices to war stories, and you’ll walk away with real concrete learnings and actionables – not high level generalizations about broad topics. This year’s conference will feature a Keynote Fireside chat from the founders of Firebase and Ionic, as well as discussions with leaders from Redox, Zapier, healthfinch, Zendesk, EatStreet, PerBlue, and many other seasoned serial entrepreneurs! Forward Festival Startup Showcase – August 22 – The Forward Festival Startup Showcase is a high energy stage that celebrates and showcases what’s next in Madison’s startup ecosystem. It features an evening of startup pitches from some of Madison’s most compelling emerging companies. A select group of 5 rising startups will give a 5-minute “demo day” style pitch showcasing their company. In addition, over 15 Startup Showcase alumni from past years will take part in a lightning round of 1-minute update pitches highlighting their recent successes. A reception on the Memorial Union Terrace will follow. 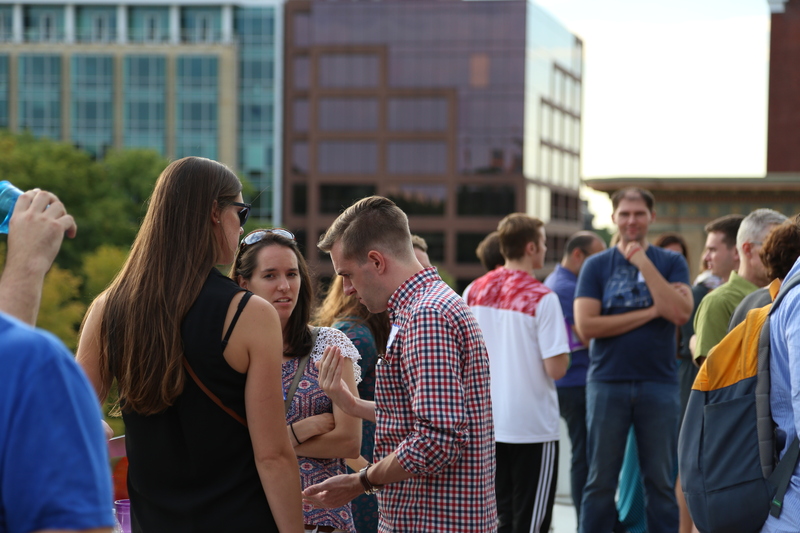 Capital Entrepreneurs Rooftop Open Social (and Forward Fest Wrap Party) – August 24 – Join Capital Entrepreneurs as we wrap up the 2017 Forward Festival with a rooftop celebration on the Capitol Square. Come mingle with Madison’s up-and-coming innovators working on a wide variety of interesting startups at the Capital Entrepreneurs Open Social. Enjoy great networking and Capitol views from Boardman & Clark’s beautiful rooftop terrace, as well as a variety of taps from local brewers and snacks from local producers. The 5th annual Forward Festival Startup Showcase returns this year and will again be bigger and better than ever! Startup Showcase will cap off the new Forward Summit day, which is packed with 6 different tracks of full-day conferences and events (including the headline Forward Tech Conference) on August 22, 2017. It is expected to bring hundreds of entrepreneurs, business, civic and education leaders together in celebration of all of the innovation happening in greater Madison. Apply to pitch in the 2017 Startup Showcase by July 11 here. Looking for other pitch events to apply to or attend at the 2017 Forward Festival? 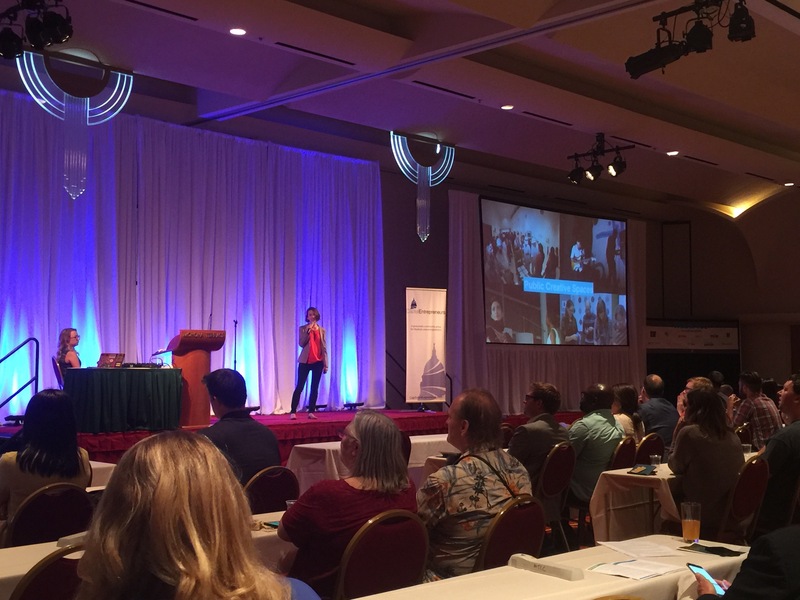 Be sure to check out Pressure Chamber, Doyenne 5x5x5, Badger Startup Summit Pitch & rePlay, Challenge Cup: Madison, Dolphin Tank, Pitch Night X PechaKucha, and United Way’s Pitch to Ditch. The Startup Showcase is presented by Capital Entrepreneurs. 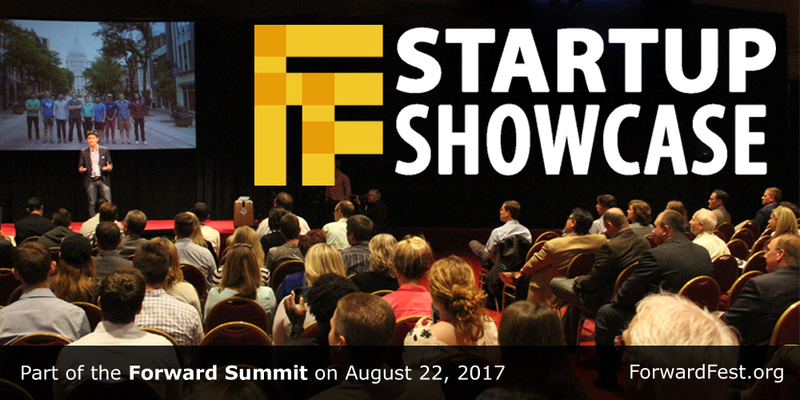 Startup Showcase is part of the 2017 Forward Festival, which runs August 17-24, 2017. Join us for Madison’s 5th Annual Spring Tech Kickoff on Thursday, April 20 from 5-7pm! Technology business, entrepreneurship, and startups in Madison have another great year ahead. To celebrate that and get in high gear for an eventful summer, Capital Entrepreneurs, Horizon Coworking, and the Forward Festival invite our community and its supporters to the 5th Annual Spring Tech Kickoff! This year’s gathering is in the brand new Galaxie building Phase 2 on East Washington Ave.
Once again a lot has happened since last year’s spring event, and with new energy, new employers, and new support and funding resources for entrepreneurs we foresee even more coming this year. Anyone is welcome, this is a place where folks who want to connect and participate can easily plug in and help move our community forward. Madison’s 6th annual Startup Weekend will take place April 7-9, 2017 at University Research Park. Startup Weekend is a weekend long event where developers, designers, marketers, and startup enthusiasts come together to share ideas, form teams, build products, and launch startups. To get a better idea about the event, check out a brief video trailer here. Whether you’ve been to startup weekend before or are coming for your first time, you’re guaranteed to learn, meet, and develop your entrepreneurial side. Startup Weekend is a great opportunity for both new and seasoned entrepreneurs to gain valuable experiences and put their unique skill sets to use, meet people, and have fun. The weekend is centered around building a business plan with a small group and will culminate with presentations on Sunday, but there are also speakers and networking events for the whole group. People of all different backgrounds and with all different skills are encouraged to participate. Follow Startup Weekend MSN on Twitter and #swmadison hashtag for information. Sponsors for the event include Healthfinch, Gener8tor, Fine Point Consulting, American Family Insurance, Zendesk, Neider and Boucher, and the Wisconsin Economic Development Corporation. EatStreet continues their rapid growth as they recently acquired assets from a Philadelphia-based startup in order to aid expansion to cities they operate in across the U.S. The startup, called Zoomer, has agreed to sell EatStreet certain assets of the business including restaurant contracts in 10 markets for for an undisclosed amount of money. In addition, many employees from Zoomer will join the EatStreet team. The strategic purchase will allow EatStreet to have more control of the food delivery process from start to finish, and the acquisition will help them better manage deliveries for high volume restaurants. EatStreet now employs over 150 people in the Madison area and has 15,000 plus restaurants available on its service. More information is available here. Redox just completed a $9M Series B funding round, led by RRE Ventures. Redox is a local startup that is accelerating technology adoption in healthcare with cloud-based applications. These applications are revolutionizing the way healthcare data is shared among healthcare organizations, patients, researchers, and technology providers. Redox plans on using the funding to continue improving their technology and expanding its use. Since their applications are centralized, they will become more powerful as the number of users increases. The ultimate goal is to create a system where clinical data follows patients so that any hospitals or specialists they visit will be able to easily access their information. In 2016, Madison startups continued to be an engine of economic growth. They drove strong net job creation, raised a record amount of funding, and solidified as well as expanded their physical presence in the community. Madison startups now employ 825 full-time and 300 part-time people*. In 2016 they created 150 new full-time and 135 part-time positions. Tech startups raised a record $114M* in funding in 2016, which is a 70% increase over the prior year’s funding total. 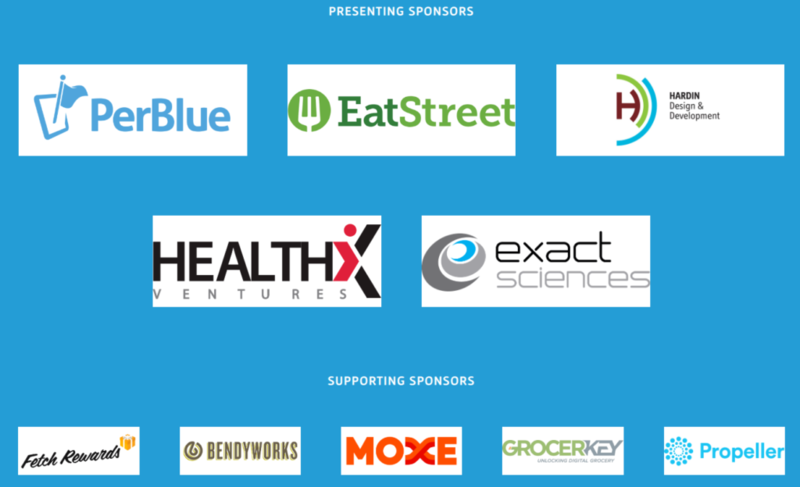 Two dozen companies raised rounds of $500k or more, with the largest later stage capital raises (>$4M) coming from Propeller Health, EatStreet, Ionic, Understory, Healthmyne, Catalyze.io, PerBlue, ABODO, Moxe Health, Forward Health Group, and Pegasus Sustainability Solutions. The physical footprint of the startup community continued to expand and became a more permanent fixture within the broader Madison community. Individual startups expanded their footprints by tens of thousands of square feet of office space all over downtown Madison. There was a bustle of new activity in particular at 316 W Washington Ave as startups took over multiple floors of the newly renovated building. Madison was studied as a hub for tech innovation and entrepreneurship by the Atlantic Council and was recognized as having one of the fastest growing high tech industries in the country by the Brookings Institute. The locations of technology companies and supporting resources was even mapped by MadREP to better visual their impact on the city. Many entrepreneur focused workspaces grew and transitioned from temporary spaces into long term homes. Horizon Coworking and Madworks Coworking expanded. 100state expanded and moved into a brand new space. Sector67 launched a capital campaign to fund their new permanent home. And after 4 years of planning, StartingBlock Madison completed their capital campaign, received final City approvals, and will be breaking ground in just a few short weeks. StartingBlock’s 50,000 sqft entrepreneurial hub will provide long term homes to gener8tor, the Doyenne Group, and many other startup resources. 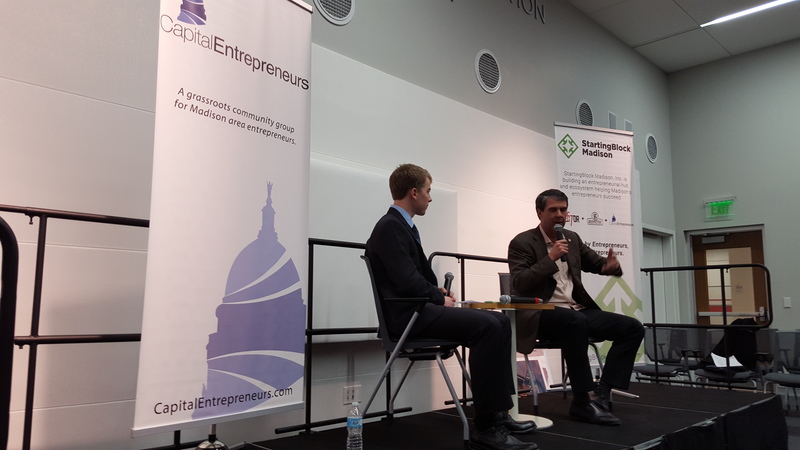 Capital Entrepreneurs continued our mission of connecting the Madison entrepreneurial community. Throughout the year we held joint meetings with StartingBlock, 100state, Horizon Coworking, and gBETA. We stepped up our initiative to better connect student entrepreneurs to the broader Madison entrepreneurial community through our support of the Transcend Innovation Competition, establishing an informal mentoring system, and hosting the annual Madison Startup Fair on the UW campus. This year’s Madison Startup Fair co-located with the UW Engineering Career Service’s Spring Career Fair which gave Madison startups large scale exposure to over 1,500 engineering and STEM students. 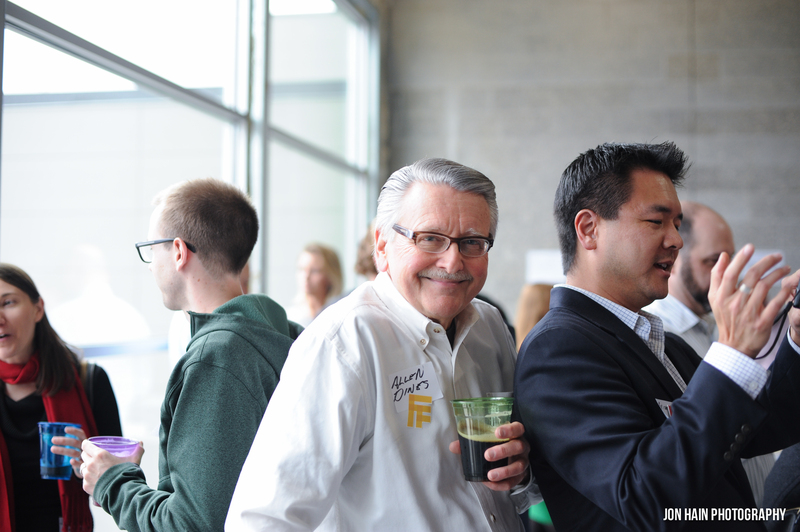 The annual Spring Tech Kickoff is our biggest social event of the year, and this year’s fourth annual event was the largest to date attracting over 400 attendees to the newly completed Galaxie building in the Capitol East District (overlooking the future StartingBlock site). The fifth annual Startup Showcase featured 5 new startups and updates from over 20 past presenters. The Forward Festival continued to expand, and has come a long way since its first year in 2010. It has grown from 5 events with a few hundred attendees in the first year, to 43 events and over 4,000 attendees this year and featured events organized by entrepreneurs, for entrepreneurs encompassing tech, food, social good, and art. In 2016 100state announced that it would move from 30 W. Mifflin St to the 6th floor of 316 W. Washington Ave. 100state is Wisconsin’s largest coworking community, and this move brings 100state members to the the same building as notable Madison companies like EatStreet, Abodo, 5NINES, Catalyze, Filament Games, and HealthX Ventures. In order to accommodate the growth of 100state, they doubled the size of their coworking space, adding 19 new private offices, a classroom, and modern event space specifically designed for the innovative community’s needs. A new classroom will be dedicated to providing opportunities for entrepreneurial and tech education for youth and adults alike. A specially designed arts space will host art-related workshops and provide space where artists can work. 100state also added two new members to their board of directors, Rachel Neil of Carex Consulting and Drew Coursin of Neider & Boucher. 100state’s first day in the new location was 1/2/17. Doyenne had an amazing 2016! We secured over $800,000 in funding through a City of Madison Grant, WEDC, A Fund for Women, private fundraising and matching dollars from WWBIC and in-kind donations from local collaborators. These funds will be used in 2017 & 2018 through the Doyenne Evergreen Fund to provide grants, loans, equity investments, and programming for women-led ventures based in Madison and across Wisconsin. We saw a 35% increase in Doyenne programming participation and have more than 150 members based primarily in Madison and Dane County, and all across Wisconsin. In 2016, gener8tor was ranked “Gold,” amongst the top 15 startup accelerators in the United States, by the Seed Accelerator Rankings Project. To date, gener8tor has completed 9 cohorts and invested in 49 companies. Cumulatively, those companies have raised more than $100M in follow-on financing. Madison-based gener8tor investments in 2016 include: Allergy Amulet, Curate and Behold.ai. gBETA–a free, six-week accelerator for early-stage companies with local roots–completed its fifth cohort. 15 companies graduated from gBETA Madison in 2015. gBETA expanded in 2016 to run programs in Milwaukee and Minneapolis. gener8tor added Madison entrepreneur, Mark McGuire, to lead expansion efforts in Minnesota. In 2017 gener8tor looks forward to its Madison 2017 program, growth of gBETA and Minneapolis expansion. In 2016, Madworks Seed Accelerator mentored 17 early stage companies, which since inception, brings the total number of teams mentored to 59. As a collective, our companies employed over 90 people, raised over $4.6M, and have revenues close to $3.4M. Always looking for ways to fulfill needs in the community, we augmented our services since the summer by helping entrepreneurs build corporate governance acumen (i.e., legal, financial, and board management skills). We look forward to helping nascent food and beverage related entrepreneurs in our next cohort starting mid-February. Madworks Coworking continued its growth in 2016, increasing total membership to over 50 people. University Research Park knocked down a wall, giving Madworks an extra 1,000 square feet, and the space can now accommodate 42 dedicated desks, up from 24, a 75% increase in capacity. 2016 was a big year for StartingBlock Madison. In September, StartingBlock completed its $3M capital building campaign. In November, the U.S. EDA announced StartingBlock as one of 35 i6 Challenge grant winners. The $475,000 grant will support staff funding for a Director of Programming, a recruiting consultant, a part-time Lab Coordinator, and mentor-in-residence. In December, “The Spark” project completed the city approval process, setting up for breaking ground in early 2017 and opening in Spring 2018. StartingBlock also added Laura Strong to its board and Chandra Miller Fienen as its Director of Operations and Programming. Diversity and inclusiveness emerged as important priorities over the last few years for organizations across the startup community. Nearly all organizations have made conscious adjustments to ensure their groups and events are as open and accessible as possible, with a focus on continuing to improve this. This mindfulness by event organizers, coupled with more direct efforts by groups like the Doyenne Group, have begun to alter the startup community into one that is becoming noticeably more diverse and inclusive. The Madison startup community saw another year of consistent growth and impact. Companies have been able to attract sizable funding rounds, and a cohort of successful later stage startups has emerged. PerBlue sold their DragonSoul mobile game for a reported $35M, and if that is any indication of what’s to come next, this type of exit and return to investors is important in order to continue to strengthen the funding environment and continue to build up the ecosystem as a whole in order to support the next wave of companies. Cheers to 2017! 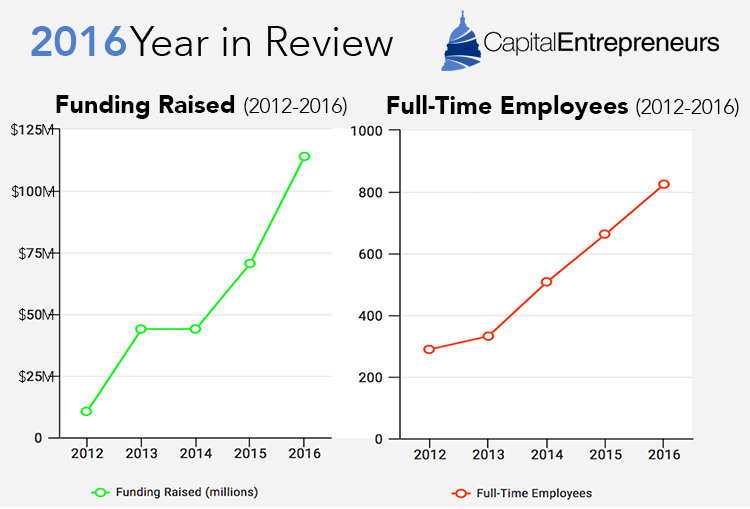 Be sure to also check out individual company recaps for 2016 here, as well as past startup scene recaps from 2015, 2014, 2013, 2012, 2011, and 2010. * Employment data is sourced from a voluntary self reporting survey of CE startup companies, with 58 companies reporting. Because of the voluntary nature, these employment numbers are likely conservative representations of the actual employment impact of all startups. Funding amounts listed are also based on the CE survey data in combination with other public sources, and includes both debt and equity funding rounds closed in 2016. For the sake of better representing a clear cohort, aggregate funding reported for “tech startups” here does not include biotech/lifescience companies.